Before I delve into this post I think a little bit of blog talk is in order! First and foremost I’ve decided to post weekly, publishing a new post every Friday. Why Friday? Because, in my opinion, Friday is the best day of the week! Also, I know that I personally tend to be most inspired and generally happier on Fridays. And, if I’m lucky, maybe this site will provide you with some creative energy for your weekend! Second, I have decided to vary the subject matter to keep things interesting. Although I consider myself a visual artist above most other things, I have many more relatable hobbies that I look forward to posting about as well. That being said though, I am kicking off this site with a visual art post! 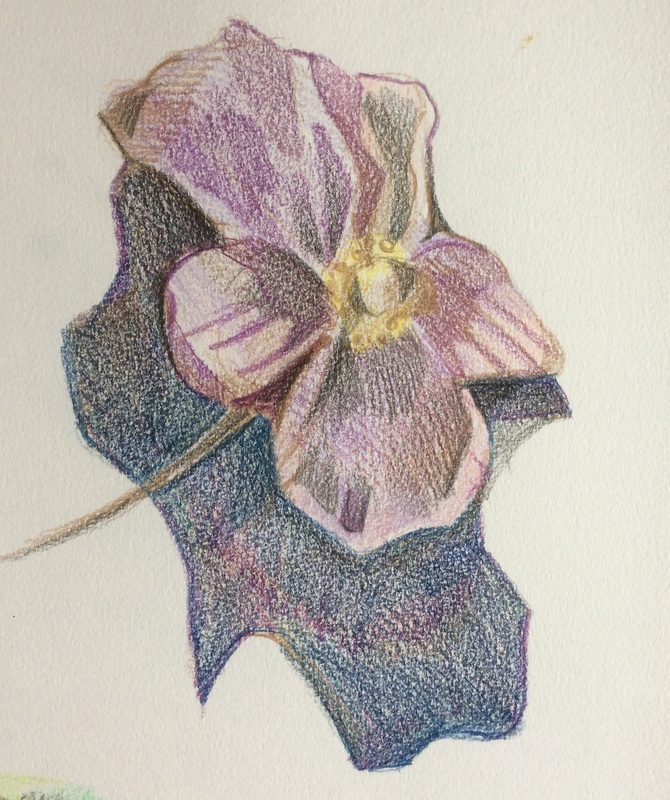 More specifically, a colored pencil drawing that I made the other day. For those of you who live in central/upstate New York, you know that nice weather is difficult to come by. Even in the summer we get chilly days and plenty of rain. So as you also know, when it is nice outside you really make an effort to GET OUTSIDE. And it was GETTING OUTSIDE that inspired this simple sketch. 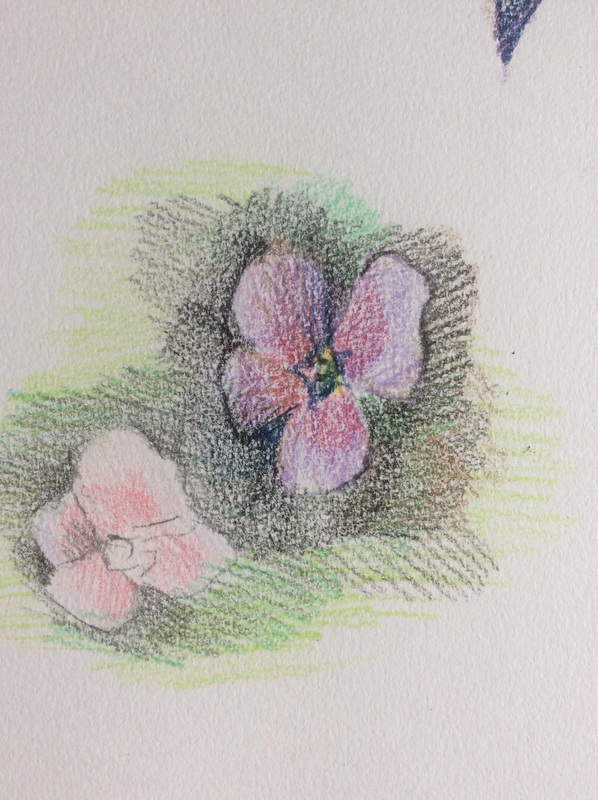 Unlike many other artists, especially classical, I despise flowers as a subject matter. In fact, I typically try to avoid them. Because they are cliché one might assume that they are “easy” to render, while in truth it is the complete opposite. I myself, find flowers to be a challenging subject matter. But as with any other skill, in order to improve, you have to challenge yourself. 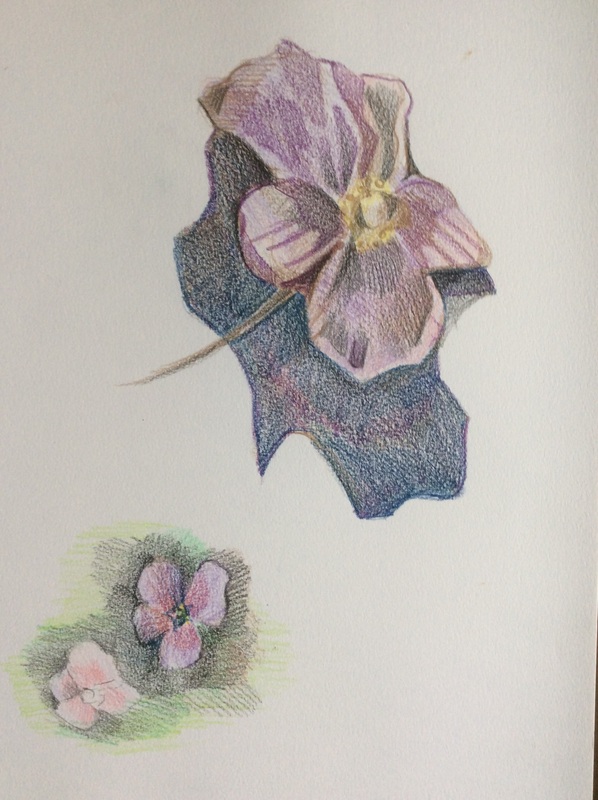 So, from time to time I make myself sketch flowers. For this sketch I started by outlining the basic shape in a neutral brown and light pink.I then filled in general colors, beginning with the lighter (“weaker”) colors. This is always a good way to proceed because they can be easily drawn over. Once I had the lighter colors filled in I proceeded with the shadows and the details formed by darker colors. Sketching outside is great because you are not only energized by the fresh air, but you are able to observe your subject naturally. That being said, however, bright sunlight can make sketching on white paper very difficult! Typically I like to mass in the overall idea of my piece outside and finish it up indoors where I’m not in danger of being blinded by my paper. This sketch, is just that. A sketch. It is in no way magnificent or refined. But that is the beauty of it. It is simple and fleeting like the summers of central New York. It was a process of practice and sunshine and that is a process always worth carrying out!